Perhaps stating that more than 40 percent of the internet is fake is not a surprise, but it is interesting to note nonetheless. Some studies have shown that less than 60 of traffic on the internet is human. 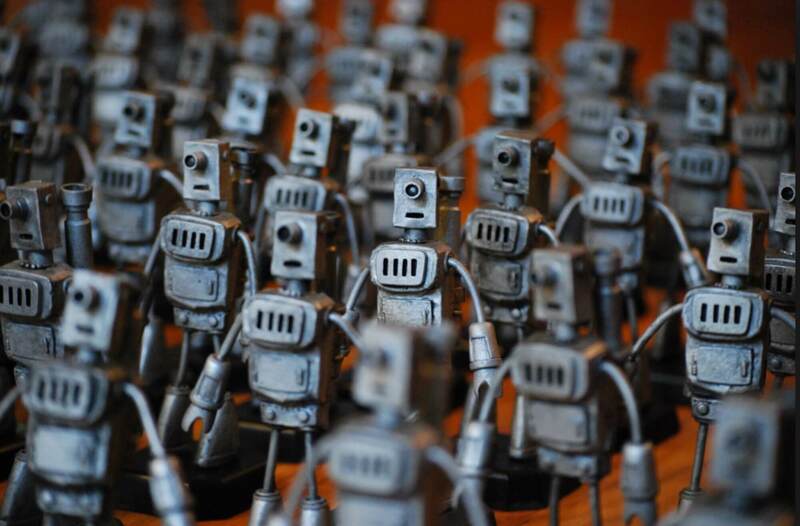 Bots became so widespread on YouTube in 2013 that developers were afraid their algorithms would start interpreting bot behavior as human and human traffic as bots. The prevalence of bots on the internet is no secret, but it has led to the point of not knowing what is real on the internet. "Years of lucrative manipulative systems have created an environment where it makes more sense to be fake online than it does to be real." Even “we ourselves are fake.” It used to be that the idiom of “keeping up with the Joneses” meant buying everything you saw your neighbor buy so as not to be left out socially. Now it means we cheat on meaningless online quizzes and post the results on social media to “prove” we are smart. We pretend we are proud of our kids by posting pictures of them when all we really want are the likes. Likewise, we compulsively click the like button on someone else's post even when we don't like what it says, just so that we will continue to be liked by them. Of course this is not true for everyone, but it seems to be more and more people are falling into an abyss of fake-ism created by the internet in general and social media in particular. we can forget these are actions of people. I watched a video on 'van life', the guy made accounts at all the right places (Instagram etc), kept new content flowing, strategically bought 'clicks' and 'upvotes' to make it look like he was a 'influencer' except he didn't even own a van, it was all fake and a successful one too. People are using things like this and monetizing it to help finance their lives, but it has all ended up so bizarrely. From fake van life to that rack of phones downloading apps or 'playing' a game. Where is a futurist when you need one, or should I just watch Black Mirror? I wish those bots on top pictures were actually real, using their tiny bot arms to type on their tiny keyboards. senketsu and Cal Jeffrey like this. It's not about being fake, but to automate specific tasks. I realize some take this to a whole new level, and a lot of it is malicious. That's funny to think about though... If we let AI learn (or any type of learning algorithm) from the internet what "human" behavior is, it's not actually going to be learning directly from humans, but from their creations. ..which again, are typically malicious. “Years of metrics-driven growth, lucrative manipulative systems, and unregulated platform marketplaces have created an environment where it makes more sense to be fake online — to be disingenuous and cynical, to lie and cheat, to misrepresent and distort — than it does to be real,” NYM wrote in closing. So, exactly like real life, then. Danny101, Charles Olson, captaincranky and 3 others like this. The original internet was ARPANET which was a trusted network of US government computers. As I see it, their only mistake, which, IMO, really cannot even be called a mistake since they had no crystal ball to tell them unequivocally that the parts of the internet would turn into the that it is today, was its eventual evolution into a public network - that is - a network where trust was not necessary to become a member of the network. As I see it, Trust is part of where the problem lies - as indicated by this article. For a bit of history on the subject - https://www.darpa.mil/about-us/timeline/arpanet Personally, I do not think that anyone can play the blame game on the original founders of the internet. Like the splitting of the atom, it was subsequent humans that have turned the internet into the mess that it is today. I think the source article hits it spot on with respect to the changes necessary to restore the internet to a trusted medium. GREED is a primary driver of the net which, IMO, says something about the nature of the economic systems of the world. To me, the entire economic system of the world needs to change before any of the current world-wide including the net will ever change. As I see it, many people, including leaders, live their lives in abject fear and spend their time and money sabre rattling and barrier building to no good end. For example, China's push back against the US charging their hackers was "you guys have all the toys". WTF?? I hate to paraphrase Rodney King, but humans are going to have to figure out how to get along and share things if humanity is going to make it much further at least as I see it. So far, humanity keeps doing the same things over and over and expects different results. Charles Olson, senketsu and Cal Jeffrey like this. ... humanity keeps doing the same things over and over and expects different results. Even scarier when you talk to people face to face, and reason that over 30% of people are fake. This whole thing about Russia and Facebook and Cambridge analytical is also fake - built up by the media. I'm not saying Russia and China did not buy time to put things out their to make a party look bad, but folks you have to realize that kind of political manuvering has been going on since Washington was president. Plus its really sad to think a tv commercial or a story on Facebook would sway a voter (cmon). Americans cannot be that stupid and superficial to take facebook (are you kidding me) as the decision maker and not look at substantive historical data instead. Plus its really sad to think a tv commercial or a story on Facebook would sway a voter (cmon). Americans cannot be that stupid and superficial to take facebook (are you kidding me) as the decision maker and not look at substantive historical data instead. - Are you kidding me, yourself, or both of us? A TV story or commercial, or any of the social media outlets, are ALL Americans HAVE to influence their vote. Jackson Browne, (Yes, the California hippy singer who wrote, "Take it Easy" ), has been one of the sharpest social observers and commenter, for decades. I keep posting this, and it seems you people keep missing the point. This story has so many tangents, so much blame, and counter accusations, it misses one fundamental truth, our great intellect it its own worst enemy.We have transferred our predatory instincts to our higher brain functions. Digitalzone and senketsu like this. surely you jest, I almost choked when I read "Americans cannot be that stupid and superficial to take facebook (are you kidding me) as the decision maker and not look at substantive historical data instead." It's not about Americans, people are stupid everywhere. They dont understand the system they live in. Because of that some are naive, some prefer conspiracy. In democratic capitalism, it is the capital who is in charge, the politics are "puppets" and do what moguls allow them. And I think the puppet is right word for that, because it is the politician who is elected and the new better face can always be found. In Europe, I can see massive shift from program-based elections (party platform) to mere populism. Is this a comment on the amount of counterfeit goods for sale on fleabay, and the fact that they couldn't care less as long as they still get their listing fees? I think Sacha Baron Cohen pretty much nailed it with Who is America.